If you own a restaurant or bar, you’ll know how important the internet is to your business success or failure. The emergence of the online review is now vital to the hospitality and service industry. In the past, people asked family and friends for recommendations on where to go. These days, they’re likely to jump online and read the opinions of strangers on any number of restaurant and bar review sites. How’s the service? Is the pasta al dente? Will the establishment be family-friendly? Can they make a mean Margarita? After pouring through endless reviews on TripAdvisor, Foursquare, OpenTable and more, you can lose your appetite altogether! So it becomes very clear that a good online reputation is vital. According to the 2014 Local Consumer Review Survey, nearly 9 out of 10 people have used reviews in the last 12 months to help make a decision about a local business. In addition, 4 out of 10 check online reviews regularly and the majority of such searches are for restaurants or cafes. As consumers get more used to checking online before choosing where to dine out, restaurant owners must do all they can to ensure their online presentation is as well-prepared as their food. As the owner of a restaurant or bar, you need to manage your online reputation to ensure your online reviews are upbeat and up-to-date. Of course, that doesn’t mean creating fake reviews – although there are probably some businesses that do it – but learning how to better interact with customers online. This will involve active engagement with visitors to your website and social media as well as responding fast to negative comments and reviews by unhappy customers or pot-stirring competitors. Here are a few tips for effective reputation management. With millions of people regularly referring to user-generated content websites, you’d think that business owners would be begging their regular customers to post an honest review. However, surprisingly, most business owners don’t ask. As a consequence, savvy operators who encourage customers to post reviews can leap to the top of restaurant or bar rankings in TripAdvisor and other sites with minimal effort or cost involved. As TripAdvisor alone claims to have 280 million unique monthly visitors, the marketing potential of using reviews to boost your online business presence is huge. Of course, you should never try to pressure customers into writing a glowing review. You’re likely to lose business that way, and it’s hard to fake sincerity anyway. It’s far better to ask for honest reviews, even if you get the occasional one that’s less than positive. Getting negative feedback will help you to identify and address any problems that may exist. Indeed, many big brands encourage constructive criticism as a way to show they are addressing and responding to the needs of customers. A bad review on its own will not sink your business but how you handle it can make a big difference. Creating a loyal customer base depends on building a long-term relationship with your customers. To do this, you need to engage both online and off. If you take the time and effort to respond directly to a customer review, you’re likely to impress not just that customer but others who read it. When you do get a good review from a customer, ask them if you can share their testimonial elsewhere, such as on your website or Facebook page or even in an online advertisement. However, should you receive a negative review, always be positive and magnanimous in your response. Calling the customer an idiot because he gave you a one-star review is no way to woo future diners. Instead of getting angry or making excuses, thank the customer for their input and address their specific complaints. Assure them that you have taken their complaint seriously and dealt with the problem accordingly. You should also apologise and ask the customer for a chance to make amends – perhaps with the lure of a free meal or bottle of wine. You don’t have to limit your giveaways to acts of contrition. Incentivise customer feedback – such as online reviews –by offering discounts and other rewards. Provided you act impartially and treat good and bad reviews equally, this won’t be seen as simply bribing customers. You can also create competitions to generate more content from customers and visitors to your online business pages. For example, ask customers to create a brand new cocktail for your bar, or suggest a new dish to add to your restaurant menu. Creating a buzz about your brand online will help to drive more visitors to your website and to your establishment too. Restaurant and bar owners are waking up to the way their reputation online affects their business offline. Some are investing in digital tools to manage their online reputation themselves while others prefer to hire reputation management professionals to do the job for them. 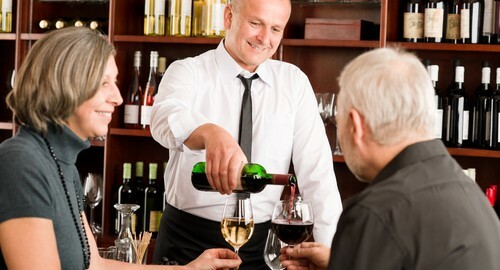 Reputation management plans can cost less than £100 a month for a small business – about the same as a meal for two with wine – so they are an affordable option. If customers are migrating to your competitors, it may be less the fault of your cooking and more down to your reputation management skills.